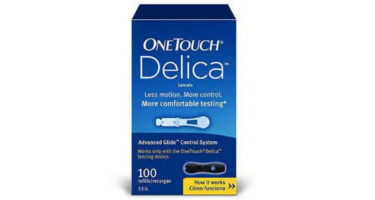 OneTouch Delica 33 Gauge Extra Fine Lancet is for patients who want the thinnest lancet from OneTouch for sensitive fingers. To minimize the pain of testing, change lancet after every use to ensure the least painful puncture. Lancets become dull and painful when re-used. The 30 gauge fine lancet is for patients who want a slightly larger gauge lancet, since perhaps they may not get enough blood from the 33 gauge lancet.